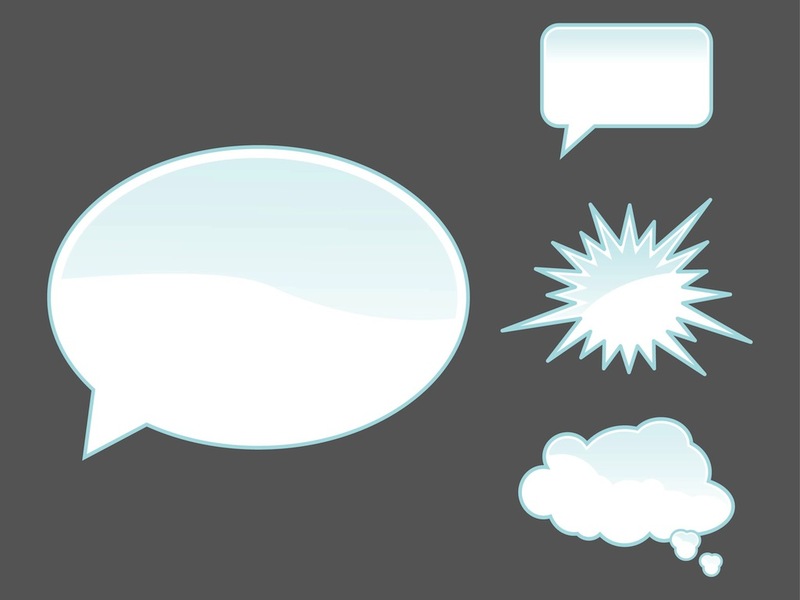 Speech and thought balloons vector footage for comic book projects. Classic ellipse and rectangle balloons with small arrows pointing the direction of the speaker and abstract shapes with cloud shape and small rays. Free vector image collection for all comic book, cartoon, decals and sticker designs. Tags: Balloons, Cartoon, Geometric Shapes, Rays, Shiny, Stickers.